As if cyber courtship wasn't already fraught with concerns (do you wait for him to message you first, and how much do you reveal before the first meetup? ), you've also got to figure out what to wear in your profile photos. After all, you want to stand out in the pool of candidates, while displaying your best qualities. To help out singles navigating the world of online dating, we got sartorial advice from Karen Fein, the head of marketing at Hinge, a dating application that helps you meet new people through your extended social circles. Scroll through for her advice on what you should wear for an irresistible profile! 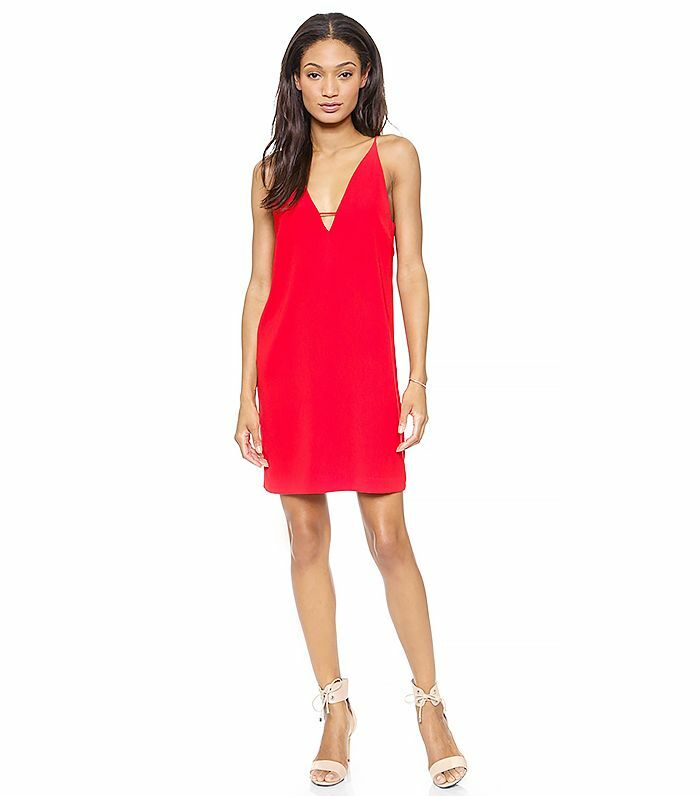 The bright red hue of this subtly alluring dress will attract attention for all the right reasons. Show off your playful side in these comfortable corduroy overalls. "Two words: conversation pieces. 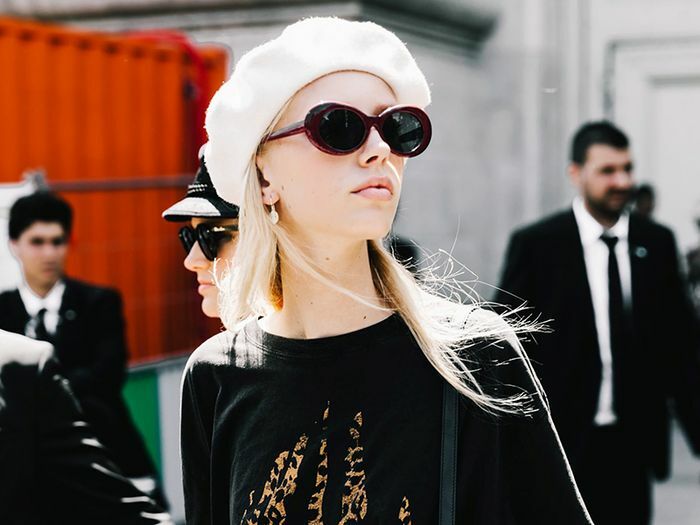 Whether it's a sequined dress, incredible statement jewelry, mixed prints, or a large hat, wear something that warrants a clever comment, making that first chat seamless." These mismatched earrings are unique, and as a bonus, they tap into the latest cool jewelry trend. Give any outfit some extra flair with this wide-brim fedora. "Showing that you're not always dressed to impress makes you more relatable and approachable, which is important, especially if you're not planning to say 'hi' first. A photo with jeans and a simple t-shirt accomplishes this well." You could go with a plain, solid-colored style, but we suggest something that's a little more intriguing, like this graphic t-shirt. Go for a classic style that you'll get plenty of use out of for every day. "If you're a ski bum, runner, hiker, or beach bum, those are all looks that showcase your well-rounded self. Some cute workout clothes can actually go a long way in helping to convey what you're like in real life." This colorful pullover is perfect for hitting the trails, and looks a bit more polished than a worn-in sweatshirt or tee. These slouchy sweats convey a carefree, cool-girl vibe. "A couple of photos in cocktail attire is great. I'd recommend fun and flirty. But keep in mind, your matches want to get a sense of the real you. So unless you spend every night clubbing, keep the decked-out photos to a minimum." Halter-style dresses tend to be flattering on most figures, and this one by Elizabeth and James comes in an understated hue that's more interesting than basic black. The fluted hem lends some femininity to this pretty frock. "No one wants to be catfished! Choosing a seasonal outfit or photo gives the impression of recency. So whip out the cozy fall sweaters and pumpkin-picking shots to remind your potential matches this is the real and current you." This cozy knit turtleneck goes with anything from jeans to flared skirts. You can also convey seasonality by opting for a coat, like this classic, lightweight trench layered over a t-shirt or button-down blouse. Got any suggestions to add? Tell us in the comments what you'd wear in your online dating profile, and if you don't already have the Hinge app, download it for free on iOS and Android.